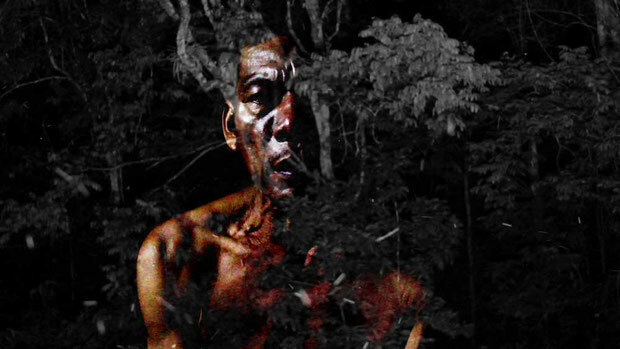 -Ayahuasqueros - ARTE AMAZONIA provides a global voice through art for the indigenous cultures of the Amazon. In their visions, ayahuasca shamans say they see the essences that animate living beings, the first property of which is to emit melodies. These essences are considered powerful beings, and ayahuasqueros learn their melodies by singing along. Singing like powerful beings, they learn to see like them, and this gives them knowledge. The melodies that shamans bring back from their visions are called "icaros"; they help navigate the space of ayahuasca consciousness, and can also serve as lifelines when overwhelmed by visions. Grab onto the icaros: these songs are made of knowledge. SOUNDWALK COLLECTIVE is an international art collective based in New York City. Since 2000 they have been sonic nomads, embarking on never ending journeys from the desolate land of Bessarabia to the desert of Rub al Khali. By exploring and documenting the world around us through its sounds, the Collective abstracts and re-composes narrative sound pieces through fragments of reality to form distinct audible journeys. The Collective's live performances are diverse and often site and venue specific. They use a combination of custom-cut vinyl records with multiple turntables, laptops and various FX processing pedals and mixers. Although sound and music are the primary forces in the live setting, projection of video specific to each performance piece creates an environment that is unescapable and unique. Live performances can also be transformed into temporary or permanent installations, post-performance, through custom-made turntables that are programmed to move automatically based on a musical score. Created by Stephan Crasneanscki who lives and works in New York, the Collective's recent installations and performances were shown at Centre Georges Pompidou (Paris); MADRe Museum of Contemporary Art (Napoli); New Museum (New York); National Museum of Singapore NMS (Singapore); Abu Dhabi: Art, Talks and Senstions (Abu Dhabi); Mobile Art by Zaha Hadid (Hong kong, Tokyo, New York); EXIT Festival at Maison des Arts de Creteils (Paris); Villa de Noailles - Centre d'Art et de Culture Contemporain (Hyères); Gare Saint Saveur (Lille); Palacio Belmonte (Lisbon); KaZantip Republic 2011; Florence Gould Hall (New York); ARMA 17 (Moscow).